Pelvis Restoration – Now Approved for BOC Evidence Based Practice! We are excited to announce yet another PRI primary course has been approved by the Board of Certification, Inc. (BOC) for Evidence Based Practice (EBP). Pelvis Restoration – An Integrated Approach to Treatment of Pubo-Sacral Pathomechanics (Live and Home Study) has been approved for EBP CEUs beginning July 20, 2015. This program has been approved for a maximum 12.0 hours of EBP Category continuing education. 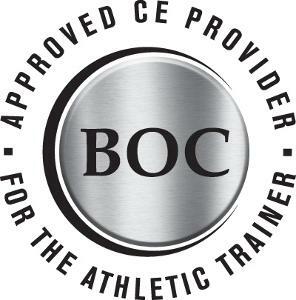 Beginning in 2014, Athletic Trainers are required to complete a minimum number of continuing education units (CEUs) in the BOC Approved Evidence Based Practice (EBP) Category. Myokinematic Restoration - Now Approved for BOC Evidence Based Practice! We are very pleased to announce that the Board of Certification, Inc. (BOC) has reviewed and APPROVED our Evidence Based Practice (EBP) program, Myokinematic Restoration - An Integrated Approach to Treatment of Patterned Lumbo-Pelvic-Femoral Pathomechanics (Live and Home Study). The course has been approved for 15 EBP CEUs. Additional EBP course approval applications for Postural Respiration and Pelvis Restoration are underway. Applications for PRT are due October 15th. Please note course requirements below which includes an extension for attending Pelvis Restoration. Impingement & Instability can be attended for the first time immediately preceding testing in January 2013. NOTE: *2012 PRT applicants are not required to complete Pelvis Restoration. This course will be required beginning in 2013. Be sure to check out the latest Featured Interview with our own Jen Gloystein. SPORTSREHABEXPERT.COM will soon post the 9th interview of their 2012 Sports Rehab to Sports Performance Teleseminar. This interview will feature Eric Cressey. Eric will discuss his thoughts on the Postural Restoration Institute, specifically the Impingement & Instability course, and how that affects his training when it comes to the hip and shoulder. Eric will also talk about some of his training philosophy, specifically power development for baseball, new thoughts on healthy shoulder training, and ‘Functional Stability Training’. Click HERE to access the interview that will go live tonight at 8pm EST. The interview will only be posted until next Tuesday night. Zach Nott, CSCS, SCCC, PRT and Julie Blandin, PT, ATC, CSCS, PRC provided THIS article to SportsRehabExpert.com. Be sure to check it out! We are pleased to announce that the Postural Restoration Institute is approved by the National Certification Board for Therapeutic Massage & Bodywork (NCBTMB) as a continuing education Approved Provider. This approval is for all PRI live courses only. A note to massage therapists who have previously attended PRI courses: As a first-time provider with NCBTMB we are able to award retroactive continuing education hours up up to two years from the date of this approval. Therefore, if you attended a course between February 28, 2010 - February 29, 2012 you will receive NCBTMB approved credit for attending. Please contact Paige for details. Ron Hruska has been invited to present at the NORA 2012 Annual Conference in Memphis, Tennessee. The conference is scheduled for April 19-22 with Ron scheduled to present Saturday from 10:10 a.m. to 11:50 a.m. on the topic of Postural Control and Vision. For more information, please visit the NORA website.